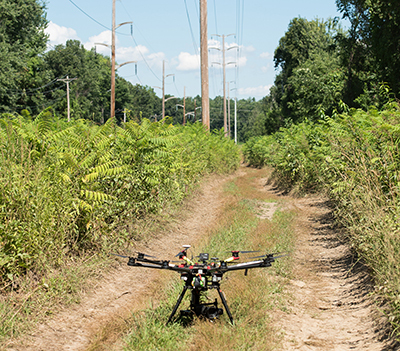 Eversource is now using drones to more efficiently inspect electric lines throughout New Hampshire. Using drones will minimize the need for periodic inspections by low-flying helicopters, reducing the use of fossil fuels and lowering the costs associated with annual inspections which are paid by customers, said the energy company. Drone inspections will also minimize the need for vehicle access to inspect equipment in environmentally sensitive areas. EFI, a California electronics imaging company with a major facility in Londonderry, has received a pair of awards in one of the printing industry's top technology competitions.The EFI VUTEk h3 superwide-format printer and the EFI Nozomi C18000 single-pass inkjet corrugated packaging press both received Product of the Year awards from printing industry association SGIA. The VUTEk h3 printer honored in this competition is assembled in our Manchester facility, and the very first VUTEk h3 printer has been installed at Northeast Color in Portsmouth. Sarah Hodges, Autodesk’s director of the construction business line, will speak about her customer advocacy work and professional mission of providing better industry solutions for clients on Wednesday, Sept. 12, during the New Hampshire High Tech Council’s TechWomen Power Breakfast. The September breakfast will be at the Manchester Country Club, located at 180 South River Road in Bedford, from 7:30 to 9 a.m. Tickets are available here, or by calling 603-935-8951. 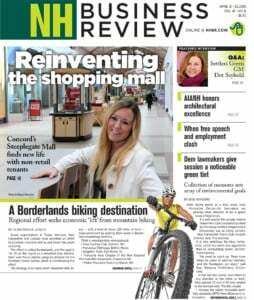 The New Hampshire College and University Council, in partnership with NH EPSCoR (Experimental Program to Stimulate Competitive Research), will host a forum on Friday, Sept. 28, featuring the state's growing biotech industry and significant new efforts to grow the infrastructure, workforce and R&D capacity. The event, which takes place from 8 to 10 a.m. at The Puritan Conference Center in Manchester, will also include a discussion with Commissioner Taylor Caswell. To register for the breakfast, click here. TEDxPortsmouth — a full-day, community-organized event with fifteen speakers and several performing acts sharing innovative ideas that might solve our community’s most significant challenges, revolutionize our businesses, make our towns more inviting, and maybe even save the planet — will take place Friday, Sept. 7 at The Music Hall’s Historic Theater. For more information and to purchase tickets, click here. Steve Baines, founder of Forcivity, recently announced that the Manchester Salesforce Developer Group has moved to a new meeting platform. Alpha Loft in Manchester will hold Lunch & Learn: The 5 C's of Credit on Tuesday, Oct. 16 at noon. The free seminar will be lead by Kelly Mulholland, market manager at Santander Bank, who will discuss how banks use the five C's of credit to gauge the creditworthiness of potential borrowers. Click here to register. Unified Office, Inc., a Nashua-based services provider of hybrid cloud-based virtual communications services and business analytics, recently announced that it is extending its award-winning communications and analytics service offerings to the dental industry with their Total Connect Now Dental Management SuiteSM. Unified Office will exhibit the new offering at booth 333 at the Southwest Dental conference Sept. 6-8, 2018 in Dallas. Unified Office enables dental practices to easily create and modify their own unique workflow choreography and to create their own virtual office communications environment, in addition to providing them with performance analytics and automated appointment confirmation and scheduling. NHADEC will also hold its member meeting on Wednesday, Sept. 19 at the McAuliffe-Shepard Discovery Center in Concord. Members can find out about new market opportunity pipelines — such as a new direct channel to the Irish Defense Forces — a special export finance workshop hosted by the SBA and People's United Bank and more. For more information, contact Dawn Wivell at dwivell@nhadec.com and to register click here. White Mountains Community College is expanding their education catalog to add several courses from Career Step, an online provider of career-focused education and professional training. New programs include medical transcription editor, pharmacy technician, physical therapy aide and inpatient auditing. The University of New Hampshire InterOperability Laboratory (UNH-IOL), an independent provider of broad-based testing and standards conformance services for the networking industry, today announced it has expanded Ethernet testing capabilities by introducing a new testing service. This service covers the new IEEE 802.3bs and the new IEEE 802.3cd specification for 50, 100, 200 and 400 Gigabit Ethernet primarily focusing on the industry shift to PAM4, a new signaling scheme deemed necessary to address the growing need for more bandwidth while still realizing today’s physical design realities. The new services are for electrical and optical conformance testing of 50, 100, 200 and 400 Gigabit Ethernet specifications, with plans to offer interoperability testing as new higher speed Ethernet products enter into development and, eventually, the market. The New Hampshire Joint Engineering Societies will host the 12th annual education conference on Tuesday, Oct. 9 at the Grappone Center in Concord. Afternoon sessions will include presentations by New Hampshire’s foremost leaders in the development of the next generation of engineers. Attendance at the all-day conference will earn 7 PDH credits. For more information including registration, contact NHJES President George Fredette at gfredette@sfceng.com.